In the latter half of the 19th Century, Japan would see 250 years of relative peace devolve into a bloody landscape of violence, with disillusioned samurai banding together to attach and permanently silence those who they believed to be ruining the country. This was further exacerbated by historic rivalries between domains, by class differences between the lower and upper samurai, as well as by the intra-domain politics of the time. In the midst of this chaos, bands of samurai bonded together to uphold their ideals, cloaking their murders under the pretense of honorable justice. With Samurai Assasins, available from McCarthy and available on Amazon.com, Romulus Hillsborough continues his examination of the Bakumatsu--the fall of the Tokugawa Bakufu--that eventually gave birth to the Meiji Government and modern Japan. Fans of his earlier work on the Shinsengumi will recognize his style, presenting the events of the time with an eye towards the dramatic and captivating stories of the myriad individuals involved in those bloody events. Whereas that previous work focused primarily on those pro-Bakufu forces, this book focuses more on the actions of the pro-Imperial factions. Together, these works complement each other and help further illuminate the complex violence of the period. Hillsborough has really become one of the most recognized names in English literature on this period, presenting it in a way that is digestible even by those without previous depth in the period. He doesn't simplify the narrative, but neither is it beyond the reader to be able to comprehend. The present work may not be the go-to first volume for someone without any prior knowledge of Japanese history, but for those who have at least the broad brush strokes of the Bakamatsu period it may provide some insights easily overlooked when following some of the more popular threads in the intricate tapestry of events that unfolded in the latter half of the 19th century. Samurai Assasins looks at three areas of the fall of the Tokugawa government and how assassinations, or "dark murder", played a role in how the events unfolded. He starts with the assassination of Ii Naosuke, whose strongman tactics and then death many claim as one of the primary catalysts behind the later violence. From there he looks at the numerous assassinations by men of the Tosa Loyalist Party, a pro-Imperial, anti-foreigner group of men that terrorized Kyoto in the 1860s. Finally, he takes a look at the death of Sakamoto Ryōma, whose proposals were part of the foundation for the later Meiji government. Through these events, he outlines some of the chaos and bloodshed that went on throughout this period. With these stories, Hillsborough makes it clear that the political turmoil that brought down the Bakufu was extremely complex. While it may be tempting to simplify the story of the revolution--the Imperial Loyalists, led by the Satsuma-Chōshū alliance, against the Tokugawa Bakufu and their supporters--Hillsborough delves into some of the complex motivations that moved the situation forward. This can make the text dense at points; Hillsborough takes great lengths to provide the names of all of the actors, which may get confusing for readers not accustomed to Japanese names. He counters this with a narrative style that comfortably leads the reader through the twists and turns of this historical record. The subject of the first part of this book, the assassination of Ii Naosuke, the Bakufu's strongman during the turbulent times of the mid-19th century, is often seen as a catalyst for much of the violence that would follow. Romulus Hillsborough takes a look at the causes and effects of the Ansei Purge, Ii Naosuke's iron fisted attempts to squash Bakufu resistance, in conjunction with the rise of the subversive Mitogaku school of political thought that drove the assassins. This assassination, known to history as the Sakuradamon Incident, is especially interesting in the light of the assassins' ties to the Bakufu--they were men of Mito, one of the three domains overseen by direct descendants of Tokugawa Ieyasu, the founder of the Tokugawa government. In fact, in the following decade one of the scions of the Mito house would actually come to power as shōgun Tokugawa Yoshinobu, who would then have the dubious distinction of being the last shōgun, overseeing the end of the Bakufu. In examining the events, Hillsborough focuses less on the assassination itself, which has been fairly well documented in a variety of sources, and more on the causes and ramifications that followed. He provides the situation in Mito leading up to the decision, and one can clearly see the conflict in society. This was not a simple decision, nor was it inevitable, but myriad twists and turns pushed these men over the edge. Hillsborough looks at the conditions in Mito, both the political situation of the Mito house of Tokugawa and the reaction among the lower ranks of samurai since the arrival of foreigners and the Bakufu's own negotiations with them. From local remonstrations to the eventual assassination, Mito was clearly at odds with Bakufu policy, though they wouldn't go as far as the next domain. 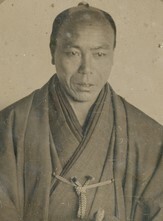 The second topic in the book delves into the Tosa Loyalist Party, with particular attention paid to its leader, Takechi Hanpeita (aka Takechi Zuizan). Tosa is another example of the complexity of this period, as its daimyō were traditionally fiercely loyal to the Tokugawa family. 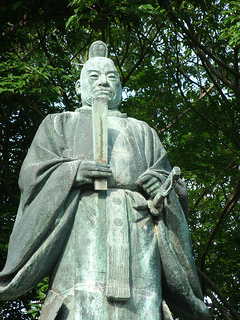 However, the Tosa Loyalist Party took up the cause of Sonnō Jōi ("Revere the Emperor, Expel the Foreigners") even though their daimyō was a staunch supporter of the Bakufu. Hillsborough covers many assassinations, from that of Yoshida Tōyō to numerous examples of tenchū, or "Heavenly Punishment". Most of these appear to have been instigated and carried out under the orders and influence of Hanpeita. 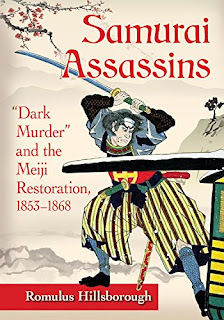 Detailing the bloody violence that these assassins brought to Kyoto--violence that eventually influenced the creation of the infamous Shinsengumi--Hillsborough describes the terror that they wrought. This provides a clear counterpoint to his work on the Shinsengumi, and goes to show that there is blood on the hands of both sides in the fall of the Bakufu. humanity of the situation comes through, with many of the murderers driven in at least part with what they considered honorable motives. Covering the Tosa Loyalist Party, Hillsborough looks at the inequalities between the various levels within the samurai class itself, especially in the Tosa domain. This was exacerbated by the differing views of daimyō and his own retainers. Although the ties of vassalage in feudal Japan are often thought to be absolute, the intra-domain politics were quite fierce, and with various parties vying for control of the ruling house. Hillsborough describes the tension and conflict, following it through to the death of the Tosa Loyalist Party leader, Hanpeita. Even then, the tale of his imprisonment and eventual execution--illuminated by his own letters to his wife, as well as the official record--demonstrates conflict within the domain and the beliefs that were driving anti-Tokugawa sentiment. Interestingly, Hillsborough makes a similar case about the drivers of the Tosa Loyalists--and, in fact, many of the assassins of this period--as he does about the Rōshigumi and the Shinsengumi. That is to say, these are samurai of the lower classes who likely saw an opportunity to showcase their skills and seek glory, hoping to increase their place in society through these acts. The system of stipends, along with restrictions on what jobs a samurai could actually take and a rising population, meant that a good many were under-employed and their stipends did not go as far as they used to. For them, a show of prowess may just earn them enough face and respect to land them a better position. On either side, the killings were justified under extreme interpretations of bushidō and Neo-Confucian concepts of loyalty to either the Emperor or the Bakufu. Few would have imagined that their acts would eventually lead to the destruction of the samurai class as a whole. Hillsborough finishes off with the assassination of Sakamoto Ryōma. 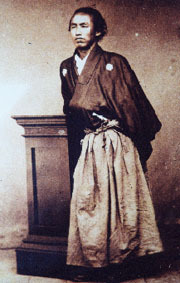 Unlike the previous assassinations, committed by enemies of the Bakufu, this assassination was committed by pro-Bakufu forces, though the exact details remain unclear. After a brief introduction to Sakamoto Ryōma, (more information on his life can be found in numerous English works, including Hillsborough's own Ryoma: Life of a Renaissance Samurai) Hillsborough takes the reader through the various reports of the incident. There is no clear narrative on the assassination. Many of the Bakufu reports are missing, and later "confessions" by people who claimed to be part of the attack don't fully match up with the official record, nor each other. Hillsborough merges these accounts, and provides his take on their veracity, providing at least a plausible account of what happened (spoiler: he puts the blame on the Mimawarigumi). He finishes off with a look at the repercussions and ramifications of the assassination, as well as a brief summary on the final fall of the Tokugawa Bakufu and the rise of the Meiji government. Overall, the book reads well, and provides a look at these instances which many people outside of specialists are unlikely to be intimately familiar with. Despite a slightly idiosyncratic system of Romanization (in particular the use of é on all kanji-final "e", not simply word-final, providing things like Takéda Hanpeita), the text flows easily enough. It is accessible for even casual readers, covering subjects not typically found in most English histories of Japan. Perhaps most importantly is the way that he follows the various paths that wind and wend their way through the fabric of this era. It is easy to mistake this period as a straight up fight between supporters of the Bakufu and Imperial Loyalists. Instead, we see exposed the internal tensions of Tokugawa Japan, formed through the historic ties between the various domains. Although Satsuma and Chōshū are often spoken of in a single breath as the forces that finally brought down the government, it is easy to forget that before the political deal-making of Sakamoto Ryōma these two domains were fierce rivals. That the concept of "expel the foreigners" was not strictly an anti-Bakufu stance, while many Imperial Loyalists viewed opening ties with the West as crucial to build up Japan's strength. In all there was not one single factor that can be pointed to as the ultimate reason for the Bakufu's demise. Hillsborough does an excellent job of cutting through all of this without oversimplifying everything. If you are interested in Samurai Assassins, or some of Hillsborough's earlier works, his Amazon page.